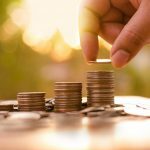 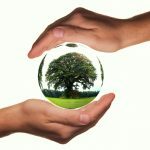 Why replace when you can renew it for you, and save you time and money! 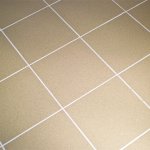 COUSTIC-GLO is the Leading Grout Restoration and Installation expert for Commercial and Residential areas. 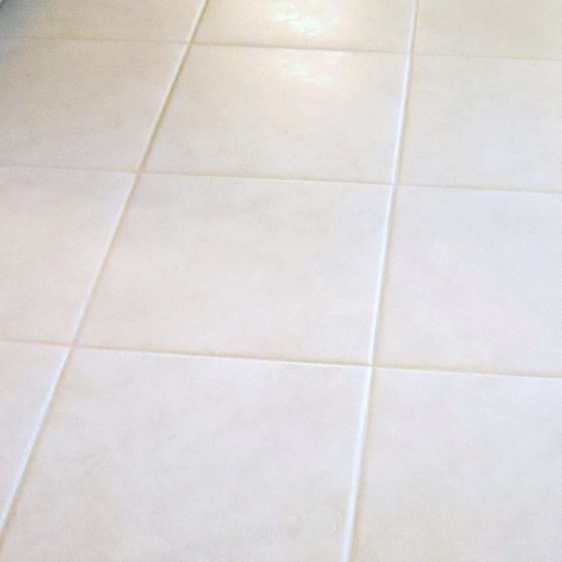 Our trained experts specialize in permanently renewing your tile and grout surfaces for your floors, kitchens, and bathrooms as well as restore its original brightness with a brand-new color. 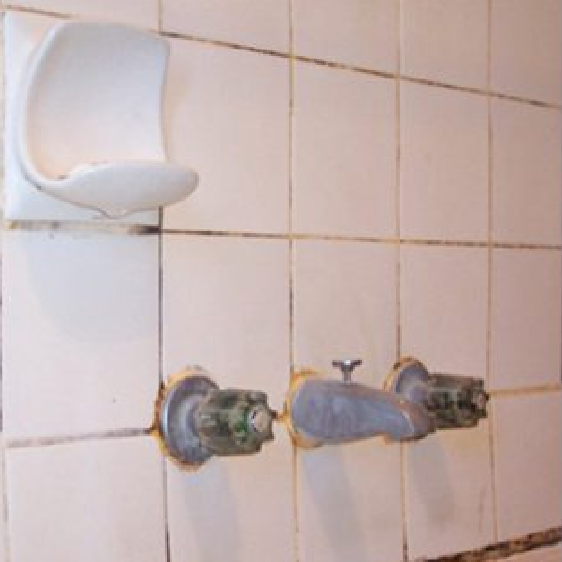 We provide our restoration & protection services across the UAE. 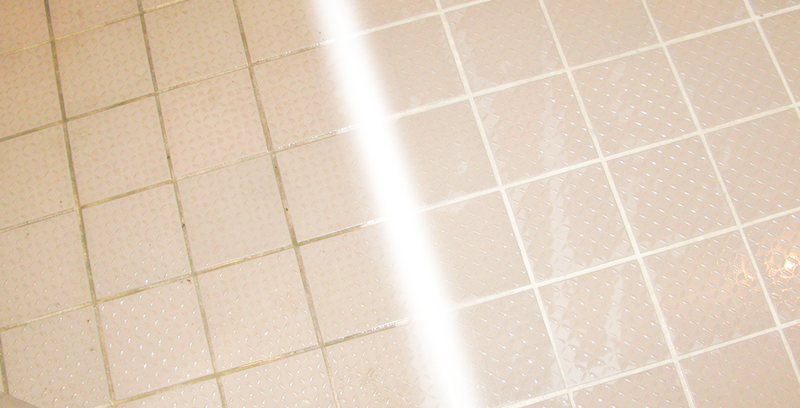 Our super Grout Protectant application so that it can last longer and look brighter. 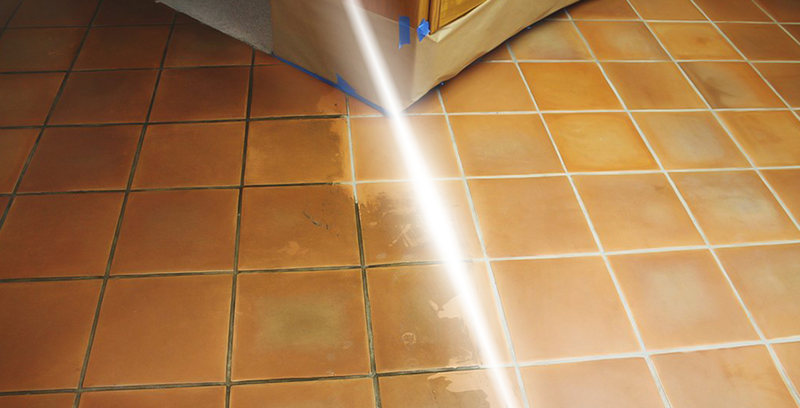 Our Stain Protection service will maintain your grout clean and prevent stains and discoloration for more than 2 years. 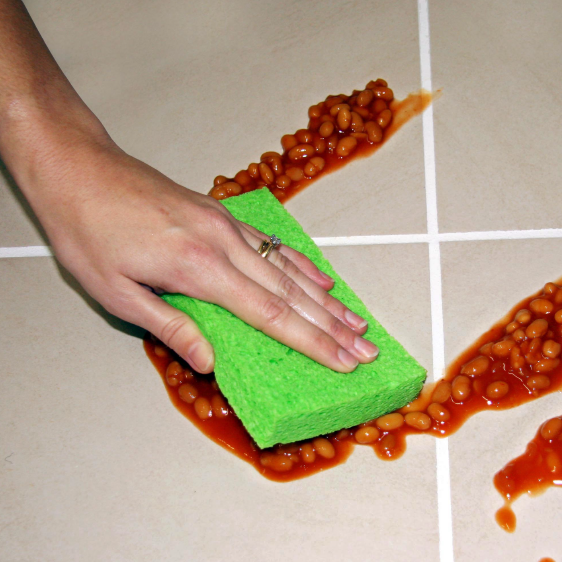 Benefit from the best grout protection service in the UAE and keep your grout looking like brand new! 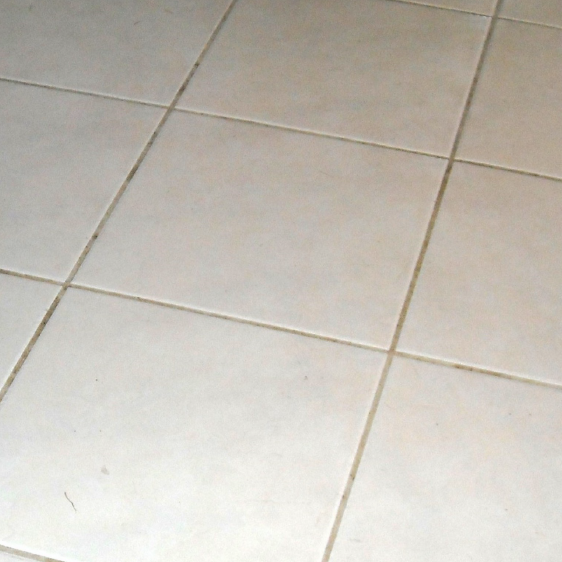 Your grout will look brand new for years with our amazing grout color coating technology. 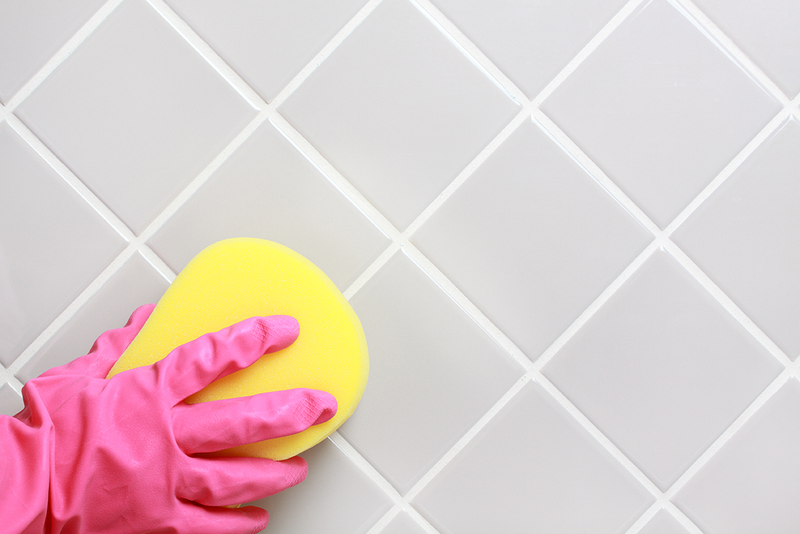 Age, harsh cleaners, excessive moping will cause the grout to wear, crack, turn into powder. 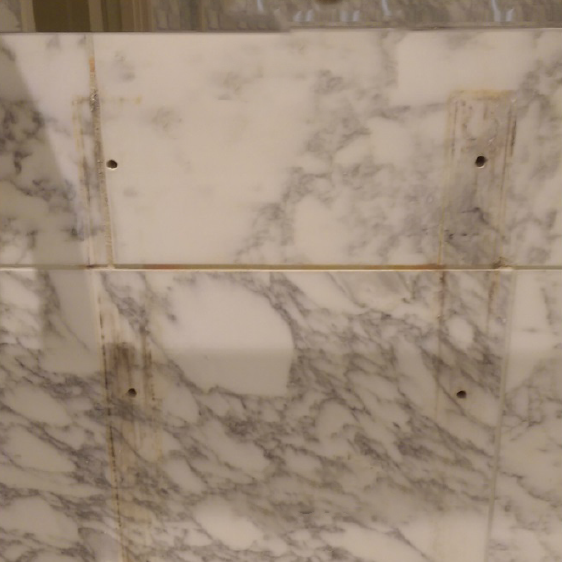 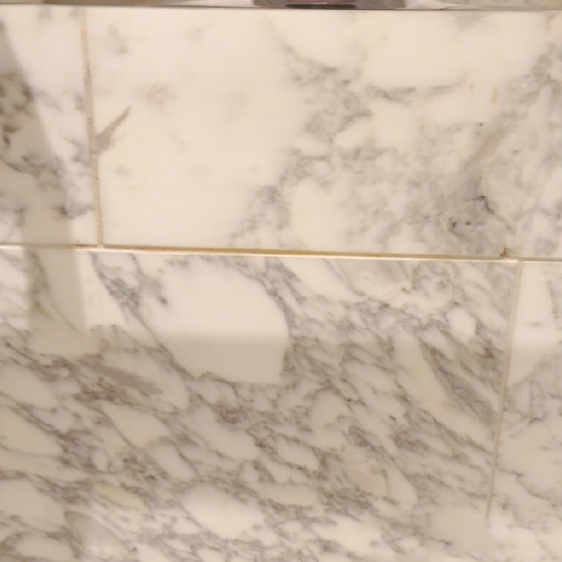 When this happens, re-grout service is the solution. 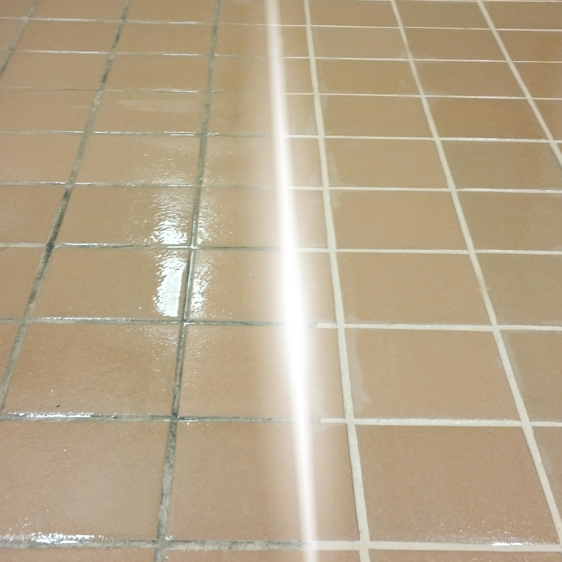 The newly installed grout will be stain protected, resist mildew growth, mechanically resist moping and harsh cleaner. 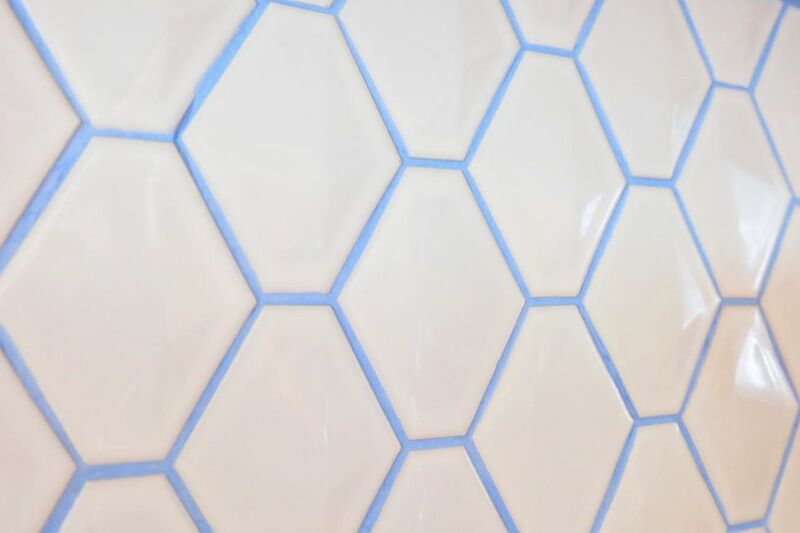 The re-grouting process is executed by environment-friendly materials. 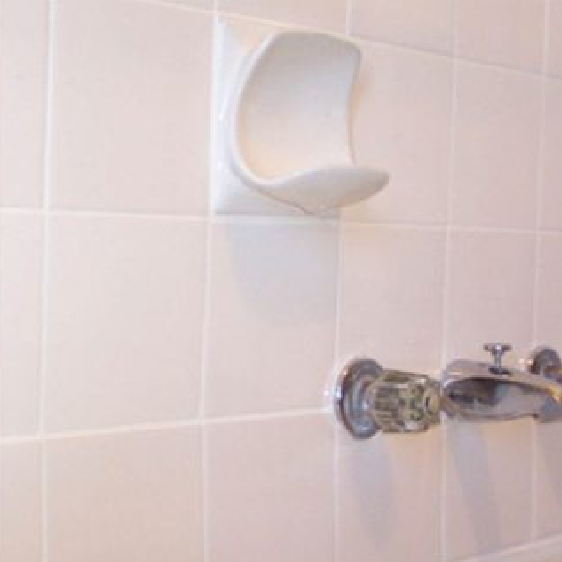 Bathtubs and sinks edges are sealed with silicone or caulk, due to the high water content in these areas, it becomes a good place for black mold and mildew growth, and got damaged in a short time. 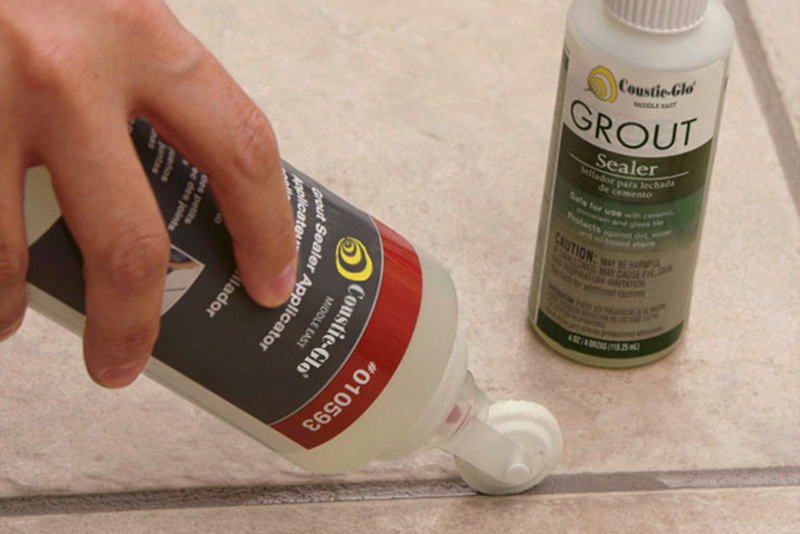 Coustic Glo experts will replace silicone and caulk with proprietary grout. 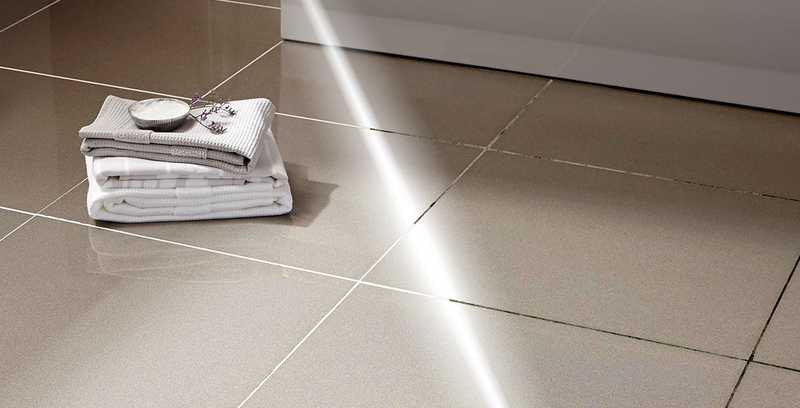 and cost of replacing the whole floor or wall tiles. 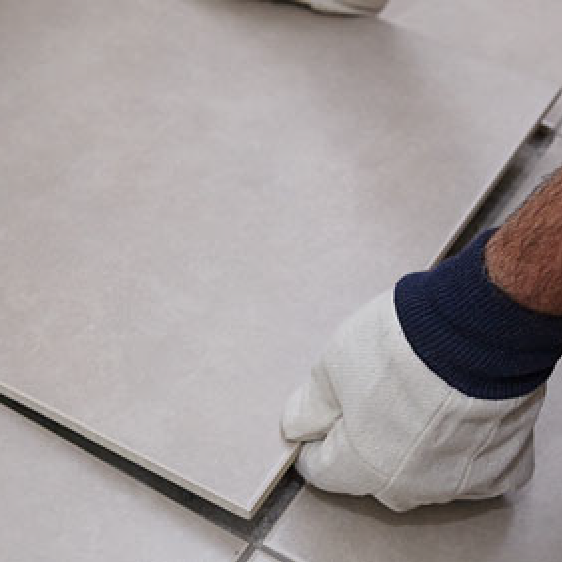 Contact our specialists today and repair your tiles and show the real value of your home! 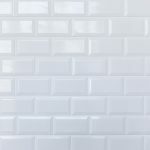 Bring back the original color to your grout. 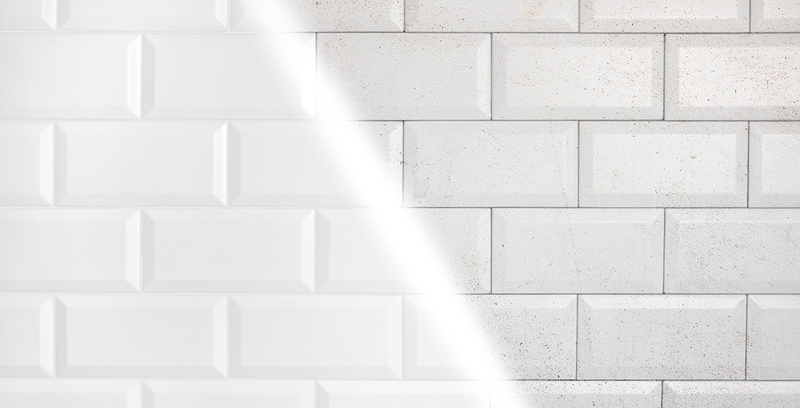 We have all colors to choose from. 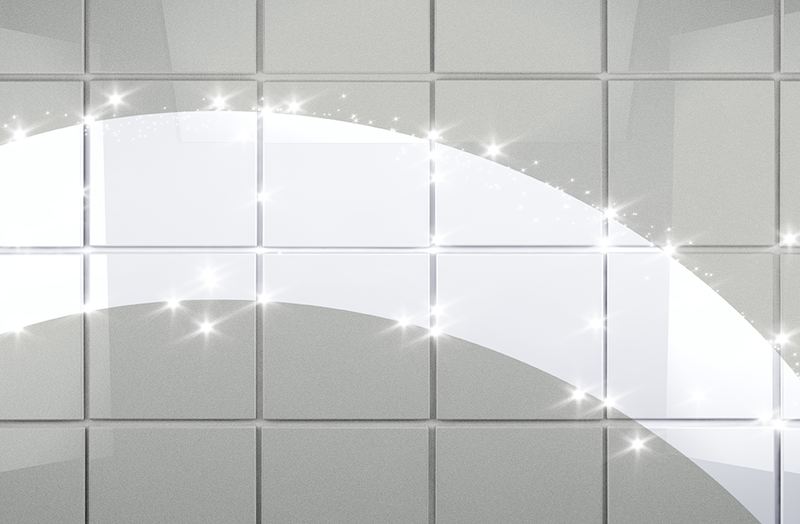 Office #117, M-Floor, Garhoud view, Al Garhoud Dubai,UAE.